6 Home Colour Trends We're Loving | Ashgate Furniture Co.
It’s at this time of year where we all feel like a little sprucing up will do the house some good. New styles, a fresh colour palette and new room scents to start off the Summer with a bang. We’ve collected a number of the latest colour trends for this season, to give you a little inspiration for your own home, and how you can splash some new colours onto the walls and furnishings. We love to check out the newest shades, and have a nosey at the furnishings and homeware that’s out there to co-ordinate. According to Pantone, the colour of the year is Denim Drift – a rustic grey/blue. But as we’re coming into the Summer, it’s time to push away the moody shades and pop a little lightness into the home. So here’s our top 6 Home Colour Trends. This light blush pink works perfectly with both white and charcoal greys to offer a fresh and light, spacious scene for the interior. Whether combined with succulents, rose gold metals and contemporary furniture, or white tiling and minimalist decor, the blush pink is the new cream. Paint the whole house in blush to offer a slight, welcoming tint to the otherwise bare walls. This pink has been dubbed ‘millenial’ pink because it’s so popular with young people in their first time homes or apartments. Subtle Summertime is all about bringing pops of colour into the house in light and fresh pastel shades. Mint greens, sunshine yellows and muted lilacs create the perfect environment for a season of fun. Using chalk paints can rejuvenate any old furniture into something brand new, and paired with a few new fluffy furnishings, you’ve got yourself a whole new style! We’ve got Everlong Chalk Paints available in our furniture store, and with plenty of colours to choose from, the world is your oyster. This season is all about bringing the outside in and living an Eco-Friendly, fresh lifestyle. This exotic nature-inspired theme is perfect for anyone loving zesty greens and turquoises. We’re loving Daiquiri Green from Pantone, and moody sage hues, paired with bright cushions, planters and rugs. A turquoise, copper combination is the perfect blend of retro and contemporary. Burnt oranges and coppery tones break up the room whilst turquoise will catch the attention of any guests – keeping the atmosphere cool and sophisticated. This urban theme is perfect for the sociable household, and those looking for a sleek and modern style. Using block coloured, muted primary colours like maple, mustard and duck egg can add a warm and quirky vibe to the home. Create a playful atmosphere for everyone in the house. The great thing about this trend is that you’re free to co-odinate any furniture you’ve already got with framed blocks of colour or wallpaper. 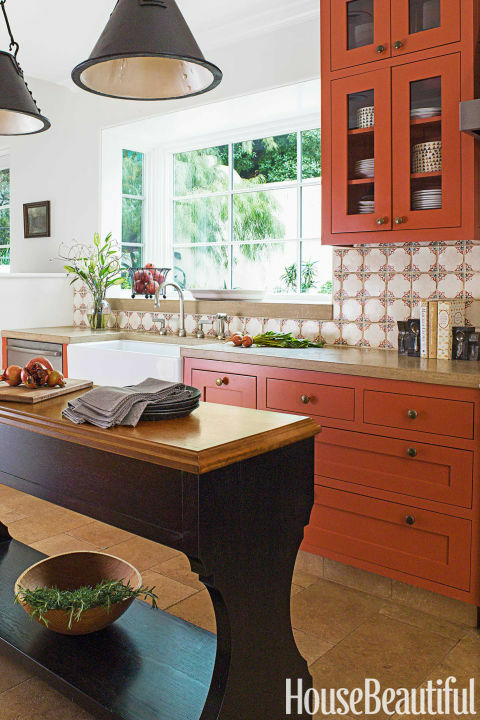 This warm, Moroccan feel is create with a vibrant red-orange hue, dark furnishings and beautifully intricate tiling. The style is so easy to recreate in any home – adding your own unique twist. It’s an easy style that can simply be created using a few sets of matte finish paints for surfaces and furniture. Don’t forget to grab any of the items we’ve showcased online now, and let us know your fave trends this season!